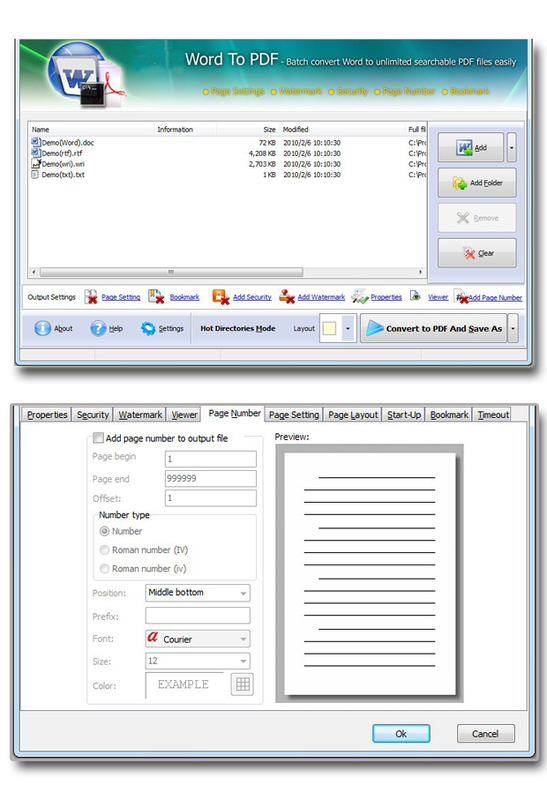 Easy Word to PDF 1.0 Free Download - Excellent Word to PDF converter to batch convert with ease! Excellent Word to PDF converter to batch convert with ease! Last Updated: 8/17/2012 | File Size: 4854 KB | Price: $39 | Downloads: 114 | Developer: Easy PDF Tools Ltd. Converting MS Word documents to PDF won't be a difficulty any more! Easy Word to PDF is such a convenient tool to turn Word into PDF. Software is packed with powerful functions and practical features, enabling to execute batch conversion and define file configuration. More features like watermark, page number, bookmark and so on are included too. Although Easy Word to PDF is such a powerful program, it is easy-to-use with its intuitive interface and simple operation. It is packed with varied convenient features so that you can easily handle it even you did not operate analogous software before. Also Easy Word to PDF is characterized by its great efficiency that will really impress you. Statement: First, please download the orginal installation package by clicking the download link. Of course you may also download it from the publisher's website. Using Easy Word to PDF crack, key, patch, serial number, registration code, keygen is illegal. The download file hosted at publisher website. We do not provide any download link points to Rapidshare, Hotfile, Depositfiles, Mediafire, Filefactory, etc. or obtained from file sharing programs such as Limewire, Kazaa, Imesh, Ares, BearShare, BitTorrent, WinMX etc. Software piracy is theft. If you like Easy Word to PDF please buy it.